Ladbrokes was founded over 100 years ago, primarily as a bookmaker to cater for those punters who wished to place bets on horse racing. They went on to establish themselves as the major player in the world of sports betting before going on to embrace the internet age and branching out into other services for the discerning punter. Their partnership with Playtech has seen them establish an online casino which offers their customers state of the art casino games, coupled with the first-class gaming experience which has become synonymous with the brand which is Ladbrokes. As there are over 400 games on offer at Ladbrokes casino the likelihood is that you will have more than enough to choose from. Due to the Ladbrokes Casino partnership with the world-renowned software provider Playtech, there are over 100 slot games available. As well as the usual European, French and American variants of this popular game, there are also other versions such as Age of Gods Roulette and Pinball Roulette. Dice games such as Sic Bo and Craps as well as bingo mobile are available alongside games such as Baccarat and Casino Holden ensure that those who favor table games are well catered for. 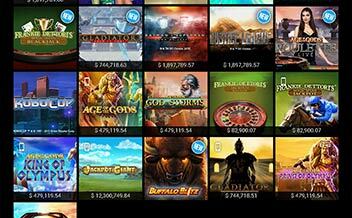 Over 20 different games on offer for the Blackjack aficionado from Perfect Blackjack to Double Attack Blackjack. There is a wide range of live casino games available, those that you would probably expect to find in a live casino like Blackjack and Roulette but also Sic Bo which is a game in which the live version is not usually available on online casinos. 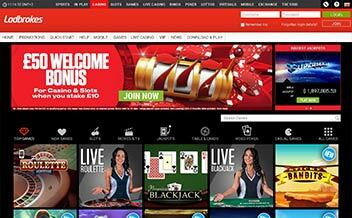 Ladbrokes Casino offers a wide range of bonus options for both new sign-up and for players who already accounts. The welcome bonus comprises of a deposit £10, receive £50 offer.  No deposit bonuses are not provided. The requirements for this bonus are to open a Ladbrokes casino account, deposit and wager £10 to receive a £50 bonus. There is 40 times wagering requirement on the £50 bonus and there are restrictions on the games that count towards this wagering. Don’t assume that this log in comprise of only the usual suspects such as Blackjack and Roulette because certain slot games also fall into this category. Games such as Ugga Bugga, Vacation Station, Highway Kings and Chinese Kitchen are on the excluded list so always remember to check the terms and conditions on every casino offer to make sure that the games you are playing are allowed to meet any wagering requirements. A promo code is required to take advantage of this welcome bonus but once the bonus code has been applied to the account there is forty times wagering requirement before a withdrawal can be made. This promotion on the Ladbrokes Live Casino is based on the casino hosts randomly offering a variety of different bonuses. They could offer £10 if you win on a side bet, £20 if you get a Blackjack to win, or even a surprise cash reward. Players will know that they are in with a chance of these rewards because the Host will announce it to the players on their table for the game commences. This offer runs daily between 16.00 and 23.59 UK time. Ladbrokes Casino prides itself on the ongoing promotional offers that they offer to existing casino players. They also sometimes combine offers with the sportsbook, an example being to wager a £10 on a casino game in order to receive a free bet on the sportsbook. When playing any game at Ladbrokes Casino (not live casino), every £10 wagered automatically earns the player 1 comp point. These points can soon add up and as soon as 100 points have been accumulated they can be transferred into cash which can either be played with or withdrawn instantly. You can keep up to date with the latest Ladbrokes promotions and tournaments on our website but let’s take a closer look at what is on offer at the moment. This offer usually runs from Monday to Sunday will the same terms and conditions each week. You basically need to wager £20 on a designated game and you receive a cash drop the following day by 6 pm which ranges from between £2 and £50. The cash drop comes in the form of a cash bonus which means that it can be withdrawn straight away without any wager requirements. What’s more, the Daily Cash Drop can be played every day during the promotional period. The Blackjack Weekend is a relatively regular promotion which runs from Thursdays to Sundays. On each day of the promotion, ‘40 Lucky Cards’ are added to the shoes at the Live Blackjack tables and should ANY player on a table receive one of these Lucky Cards, the dealer will randomly pick out a ball from the bowl which is situated on the table and. Each ball in the bowl will represent a prize of between £5 and £25 and EVERY player on the table will receive an amount equivalent to that which is printed on the ball, not just the player who was dealt the card. As this is a cash prize there are no wagering requirements necessary and the cash prize can be withdrawn straight away if required. This is one of those Ladbrokes Casino Promotions which is combined with the sportsbook. Simply place a £10 bet at minimum odds of ½ on any one of the English Premier League football matches being played over the weekend and receive one free spin for every goal which is scored across those matches. The free spins are valued at 0.25 and can be played on the Gladiator Road to Rome slot and there are no wagering requirements on any winning accumulated from the free spins. 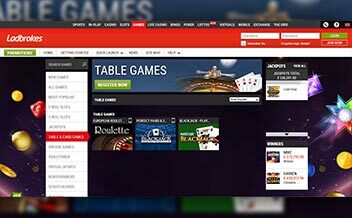 Ladbrokes Casino has partnered with the world’s largest casino software provider, Playtech. Due to this partnership, Ladbrokes Casino is able to offer its players the latest cutting-edge gaming experience with the range of casino games on offer being updated on a regular basis. For anyone with a Ladbrokes account, there is the option to play the demo version of the games if required before jumping in and playing for real money. There are downloadable and flash versions of the casino which means that the casino games can be played using any internet browser and on any device onto which the software has been downloaded. There is also a mobile version of the casino which as well as offering the full range of Playtech games, also allows users to access their account details as well as making deposits and withdrawals. U.S. Minor Outlying Islands, U.S. Miscellaneous Pacific Islands, U.S. Virgin Islands and the United States. Ladbrokes Casino accepts many payment methods, but it should be remembered that any withdrawals must be paid back to the same payment method which was used for the deposit. To make a withdrawal from Ladbrokes Casino it is simply a matter of clicking on ‘Banking’ on the home page, clicking on ‘withdrawal’ followed by the amount you wish to withdraw. Depending on the withdrawal method which you choose, you will receive funds anytime up to 5 business days. The requirements for the Ladbrokes Instant Play Casino are Adobe Flash Player 10.22.87 or higher and Mozilla, Internet Explorer or Firefox browsers. 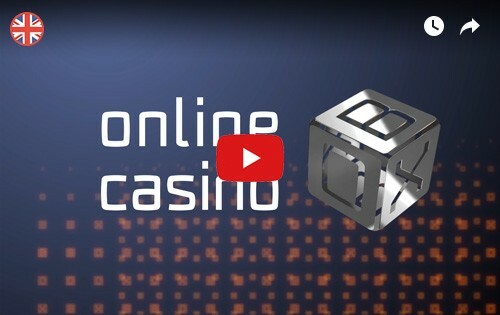 For the downloadable version of the casino, the download size is 854kb/ 3.01MB and the minimum hardware requirements are 1.6GHz, 512 MB RAM, 16MB Video Card, 512Kbit internet connection and a minimum free disk space of 1GB. The software requirements are Windows 2000 or newer. You will find that most devices which have been purchased in the last five years will be more than capable of allowing you to enjoy Ladbrokes Casino on them. 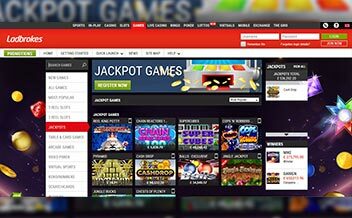 On signing into your Ladbrokes Casino account, you are taken to the ‘Top Games’ page which provides links to casino games of all varieties which are regarded by Ladbrokes as being the most popular. There are a series of links at the top of the page which point to the different types of slot games that are available as well as table and card games, video poker etc. If you have taken part in a promotion on the day before such as the ‘Cash Drop’ for example, you will get a pop up on your screen which will inform you of the type of bonus you have received and the option of accepting it or not. The games which are part of a rolling jackpot will have a constantly changing figure displayed at the bottom of the link to these games which shows how much the jackpot is at that time. Whatever game is chosen to play, it is just a case of clicking on the link and waiting for the game to load. As you would probably expect from Playtech, both the graphics and the sound make for a first class gaming experience. When it comes to the security of its players, Ladbrokes utilizes encryption technology which is certified by Thawte and provides SSL encryption of all personal data between the player and the casino. If you require support from Ladbrokes Casino there is a small telephone icon in the top right-hand corner of the screen. If you click on this icon you are presented with a choice of telephone numbers, depending on the kind of help that you require. There is also a live chat option but to access this you need to click on the link to the Sportsbook and from there, click on the telephone icon in the top right-hand corner of the Sportsbook home page. Instead of being presented with options for the telephone, you will see a link to ‘live chat’. Click on that link, choose ‘casino’ from the drop-down menu and you will be put through to an agent who will be able to offer live support. Support is available 24/7 and there is always the option of asking for support via email at care@ladbrokes.com. Telephone or live chat is the recommended option though as the email support can be very slow. There is no getting away from the fact that Ladbrokes Casino offers a first-class playing experience with all of the latest games on offer. The email support could be greatly improved upon and you sometimes have to chase up bonuses which should be credited automatically but are not, which can be frustrating.